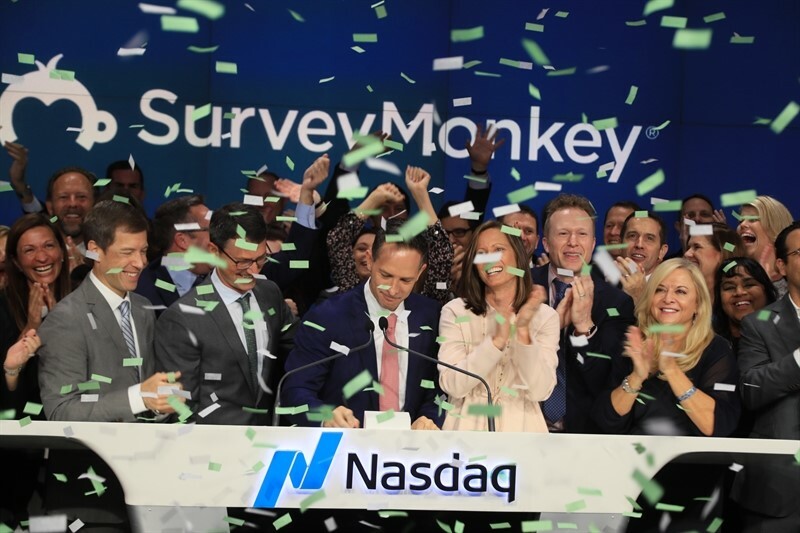 SurveyMonkey, you’ve come a long way! This month marks the 10th anniversary of when we first met Ryan Finley, SurveyMonkey’s Founder, and his brother Chris, its first employee. Their team of 12 employees was working out of a bare bones office in Portland’s Pearl District, whose stairwell was filled with cigarette smoke, courtesy of the students at the local art school located downstairs. The business was running on one server in a local data center. Each night, Chris walked over to the bank to deposit the paper checks which were arriving at the company’s mailbox each day. While the company was lacking in traditional corporate infrastructure, Vic, Pete and I quickly realized that Ryan had pioneered one of the world’s most elegant business models. The formula was surprisingly simple – build an intuitive, web-based product, give a version of it away for free, and provide more advanced features as part of a low-priced subscription. No sales reps. No marketing. The company’s users helped spread the word. Each time they sent a survey, more people heard about SurveyMonkey, and off it went. By the time we met Ryan and Chris, SurveyMonkey had over 2 million users across every country in the world (even North Korea and Antarctica!). SurveyMonkey has evolved in so many ways since Spectrum acquired control of the company in 2009, but the core appeal of its products is the same. SurveyMonkey users want input from other people before making decisions. In an increasingly data-driven world, curious people are eager to ask questions. While we love all of our portfolio companies, our relationship with SurveyMonkey took on a uniquely personal nature when Dave Goldberg, its CEO, passed away in May 2015. Dave was involved with SurveyMonkey since Spectrum’s early days. Shortly after we agreed on the terms of our investment with Ryan and Chris in 2008, I told Dave about the company and that we’d be recruiting a new CEO. Dave met Ryan and Chris over lunch at our office, and they hit it off. Dave’s enthusiasm for the opportunity was nearly immediate. He began recruiting new team members, who worked out of our conference room before the transaction had even closed. Through 6+ years of working together, Dave was a trusted partner, mentor, and dear friend. Dave would be thrilled that Zander Lurie followed him as SurveyMonkey’s CEO, especially at this important moment in the company’s history. Zander was there from the beginning too. He was the one who had originally introduced me to Dave. He was the company’s first outside board member. And since taking on the role of CEO, he has built upon Dave’s empathetic leadership style, re-invigorating and inspiring the team in the wake of a great loss. Zander not only draws upon his long history with the company, but also brings fresh vision for the opportunities ahead. I am honored to remain on the board and continue Spectrum’s partnership with SurveyMonkey as it embarks on its next chapter as a public company. We want to express our gratitude for the dedicated employees, fellow board members, and co-investors who have all contributed to build SurveyMonkey into what it is today. For more information on the initial public offering, please read the company’s press release.